The sales team at Visit Wichita plays a vital role: attracting new conventions, conferences and events to Wichita and enhancing economic development by bringing in national, regional and state conventions to the city. As a part of that team, the convention services manager position is pivotal in providing excellent customer service. Kylie Kendall has taken on this role and will assist the sales team in ensuring events are a success. Kendall will be the main point of contact for corporate event planners and association officials. She will link them with vendors, services and attractions throughout the city and coordinate details to ensure their event is a success so they will want to return and hold future events in Wichita. Kendall received her bachelor’s degree in fashion with a minor in marketing from Pittsburg State University. Previous to joining Visit Wichita, she was the activities and events director at Terradyne Country Club where she was responsible for planning and executing all social events for members and guests. 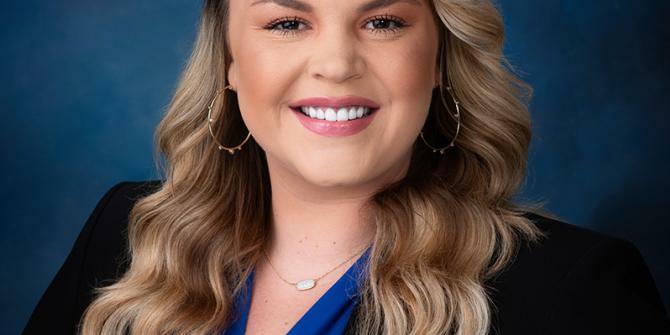 “Being a Wichita native, I feel I am a great fit for this position because I am passionate about the people who live here, the new developments happening around the city and sharing my genuine excitement about Wichita with others,” Kendall said. The sales team, led by Vice President of Sales Moji Rosson, consists of Kendall, three sales managers and a convention sales and service coordinator. For more information, visit VisitWichita.com/meeting-planners.